This is part of a sponsored collaboration with MedImmune and Latina Mom Bloggers. However, all opinions expressed are my own. Next Monday is World Prematurity Day. As the mother of a preemie, this day makes me remember my first weeks with my daughter and think about how much I didn't know about the special needs of a baby born prematurely. When I was only seven months pregnant with my first child, I started having contractions. For one month I was in and out of the hospital for preterm labor, until finally, I underwent a cesarean at 36 weeks. Although they told me she was considered term, the reality is that any baby born at or before 37 weeks is a premature baby. No one told me that premature babies were at higher risk of contracting winter viruses, most especially Respiratory Syncytial Virus (RSV), which almost 100% of children get by the time they're 2 years old. We had our share of colds, and fortunately, none of them sent my children to the hospital. But not every parent is so lucky. 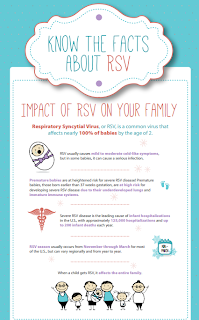 RSV is something that parents should be aware of because it is a virus that affects the lungs and breathing passages. It's a seasonal disease that usually spreads in the fall and peaks in the winter. For most children it causes flu- or cold-like symptoms, but it is a serious risk to preemies, whose lungs have not had time to fully develop before birth and who don't typically receive all of the antibodies in utero. 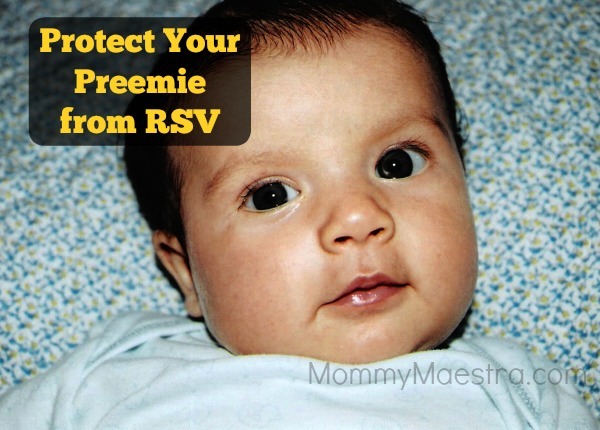 When they contract RSV, there is a good chance your preemie might need treatment in a hospital. 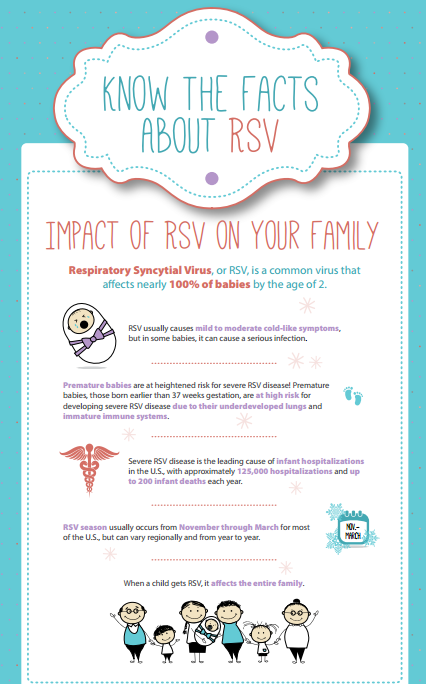 In fact, RSV is the leading cause of hospitalization for babies during their first year of life in the United States. It causes approximately 125,000 hospitalizations and up to 400 infant deaths each year in the United States Results in up to 10 times as many infant deaths each year than the flu. 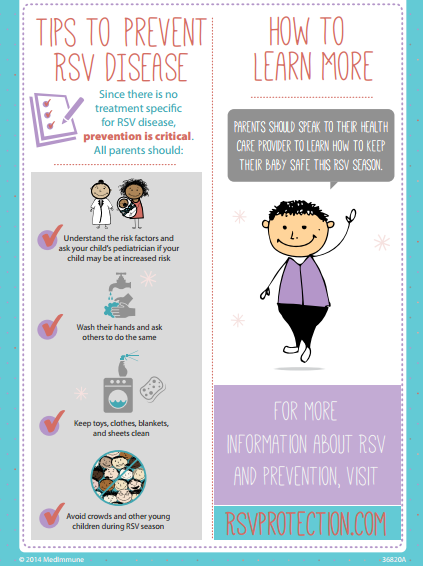 The RSV Protection site has a lot of great tools to help parents. For example, you might use their map to learn when RSV season hits your state. 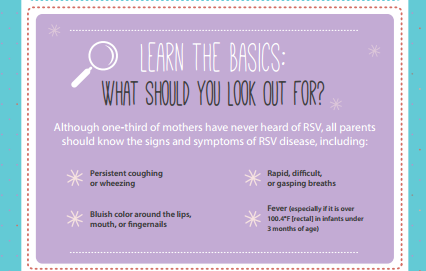 It also has a tool to help you assess your baby's RSV risk. It's a wonderful site that I wish I'd had 10 years ago! Wishing you and your family a healthy winter season!